Wow, are those purty. 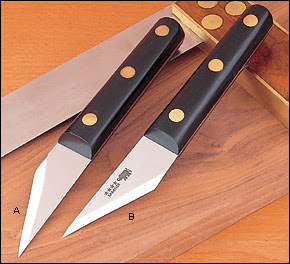 – Skiving knives in my experience have been sold with a naked tang, as least mine were and finding a left bevel was almost impossible. I soooooo want me some of those. is it bad that knives make me hot?